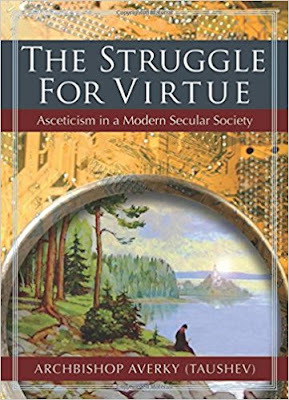 The Struggle for Virtue: Asceticism in a Modern Secular Society consists of thirteen lectures by Archbishop Averky (Taushev), former Abbot of Holy Trinity Monastery in Jordanville. They were delivered shortly after the end of World War II in Western Europe to help introduce the Orthodox method of asceticism as a means of healing and transformation of the human person to the modern world not acquainted with it. It accomplishes its goal and is an excellent book of introduction for those who desire to root out evil and the passions within us in order to live a life of virtue in Christ.